Empire of Guns: The Violent Making of the Industrial Revolution, Author: Priya Satia. An Enquiry into the Nature and Causes of the Wealth of Nations, Author: Adam Smith. By Priya Satia – In the mid-18th century, advanced areas of northwest Europe and east and south Asia enjoyed roughly comparable life expectancy, rates of consumption, and potential for economic growth. But around 1800, in what scholars call the ‘great divergence’, the power and wealth of the West suddenly and dramatically eclipsed that of India, China and the Ottoman Empire. 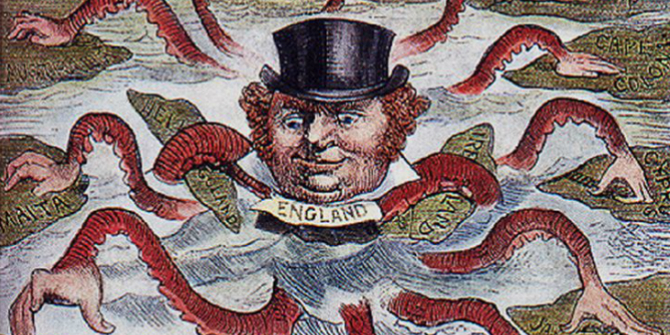 The British in particular found vindication for their expanding empire in ideas of cultural and racial superiority. Concerned about Britain’s aggressive pursuit of empire, Adam Smith presumed that the universal capacity for knowledge-sharing would ultimately right the wrongs of colonialism. We know that history did not play out that way. Why not? Why didn’t knowledge-sharing equalize the world? Was Smith too generous or naive in believing that it had cultural purchase beyond Europe? Smith’s naivety in fact lay in his presumption that the emerging political inequalities that he observed would not also shape the spread of knowledge. Like liberal thinkers today, he imagined that knowledge-exchange somehow transpires regardless of power relations. In reality, in the 18th century, as now, power shaped knowledge-sharing everywhere. In Britain, for instance, government offices engaged in military supply often prohibited contractors from patenting their inventions: a patent would slow the spread of innovation to other contractors and thus slow the production of urgently needed supplies. While the British government thus abetted the sharing of know-how within Britain, it actively stifled such sharing abroad. This entry was posted in Book review, Business, Economic development, Economy, History, Leadership, Media, Net and tagged British empire, Business, Capital, Earth, Government, guns, Industrial economy, Organization. Bookmark the permalink.